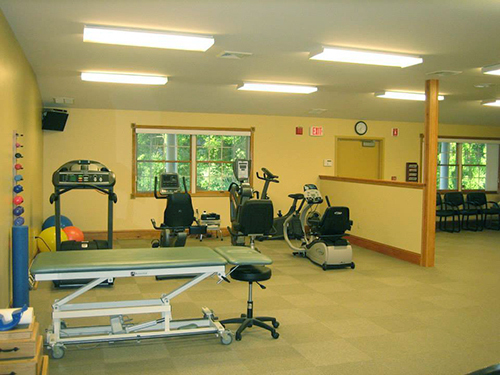 Bertolozzi Physical Therapy is a privately owned outpatient physical therapy practice located on Route 44 one mile west of the heart of Pleasant Valley. This 1800 square foot facility is just minutes from Poughkeepsie, Millbrook, LaGrange, Clinton, and Hyde Park. Melissa Bertolozzi graduated from Mercy College in 2002. She is currently pursing her Doctor Of Physical Therapy degree through Utica College. In addition to many years of experience with orthopedic conditions, she has a comprehensive background in the acute care and rehabilitation settings. Committed to learning, she has taken many courses through the University of St. Augustine and the Institute of Physical Art to advance her skills in the application of manual therapy techniques. Andrea graduated with an Associate’s degree in Applied Science from Orange County Community College in the Physical Therapist Assistant class of 2000. Andrea has 17 years of experience working in the outpatient orthopedic setting. Since her graduation, she has completed various continuing education courses in manual therapy, orthopedic injuries and core stability. Andrea truly enjoys working in the outpatient orthopedic setting, utilizing manual treatment, exercises and postural awareness to improve the function and well-being of her patients. At BPT we focus on you the individual. Your first appointment will be a comprehensive evaluation that will include a complete medical history, appropriate tests and measures, an explanation of your condition and the prognosis for Physical Therapy. This means your Physical Therapist will explain to you how Physical Therapy will help you reach your goals and how long you should expect this to take. Additionally, you Physical therapist will incorporate specific hands on techniques along with prescriptive exercises and patient education and support to facilitate your progress. Only licensed Physical Therapists will provide your treatment.